A 52 feet charter motor yacht based in Chalkidiki, Greece. 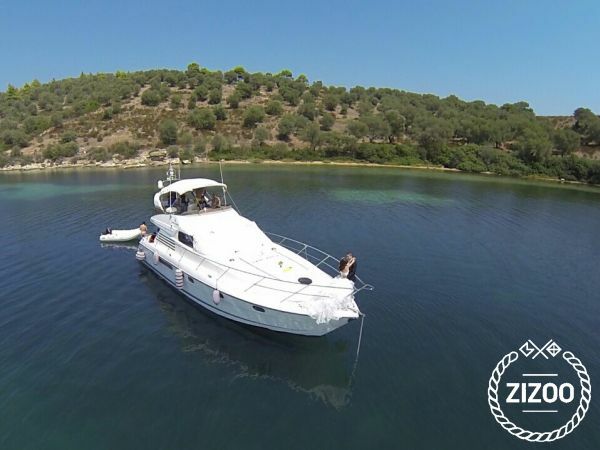 Is offered for crewed private charters in Greek area of Chalkidiki & Aegean Sea. Accommodation up to 6 guests in 3 cabins and 2 bathrooms. A perfect way to celebrate special occasions such as Birthdays, Anniversaries, Honey-Moon and Bachelor Parties, for groups up to 12 people. Memorable moments and magnificent coasts are waiting for you.